A recent study from Brazil claims that genetically modified mosquitoes can be used in the fight against an insect that spreads Zika and other diseases. Laboratory mosquitoes are inoculated with a bacteria called Wolbachia, which may block their ability to transmit viruses. This is because the bacteria stops viruses from growing and replicating inside the disease-spreading Aedes mosquito. “What we could do is to spread, to release mosquitos with Wolbachia to replace the population of mosquitos in one certain area, or even in one city and then be able to block disease transmission. So it was found that Wolbachia in Aedes aegypti can block Dengue, can also block chickungunya virus, yellow fever and now we’ve found that it’s also positive at blocking the Zika virus,” says the Oswaldo Cruz Foundation Luciano Moreira. The Wolbachia bacteria was originally developed by ‘Eliminate Dengue’, a non-profit organisation based on research at Australia’s Monash University to stop the same species of mosquito from transmitting Dengue. Brazilian research teams fed the insects on human blood infected by two recent types of the Zika virus circulating in Brazil. After two weeks, the researchers claim to have found that mosquitoes carrying Wolbachia had fewer viral particles in their bodies and saliva. “Some people get confused and think that we have to inject the eggs each time we’re going to release something into the environment, but that’s not the case, we just have to do that once and that was actually very difficult to do and took us many years to do, but now that we’ve successfully done it, it’s very inexpensive from then on to grow the material, (larvae), and release it,” says the Eliminate Dengue programme leader at Monash University, Dean of Science, Prof. Scott O’Neill. Brazil is one of the countries most affected by babies born with microcephaly as a result of their mothers contracting Zika during pregnancy. The World Health Organisation says there is evidence linking Zika to a rare birth defect and to a nerve condition that causes temporary paralysis. 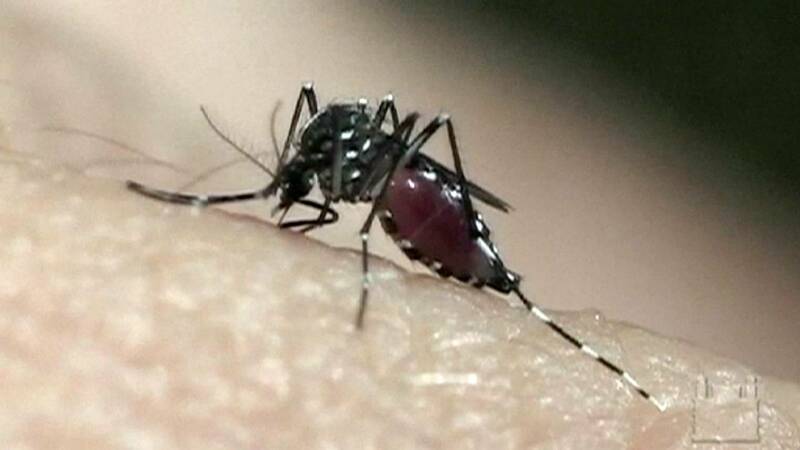 The Pan-American Health Organisation, part of the World Health Organisation, says a total of 500 million people are at risk of Zika infection. “There almost certainly will be a public health and economic burden if you have a lot of babies who are born with microcephaly and other congenital defects. The estimates of the lifetime cost of caring for a child with that kind of impairment ranges from a million to several million dollars,” says the Director of the National Institute of Allergy and Infectious Diseases, Dr. Anthony Fauci. To prove that the vaccine works, or does not work, depends on two factors. Firstly, how effective it is, and secondly, the infection rate trend in a community. Scientists from the United States, Brazil, India, France and Austria are currently working on 23 vaccine development projects. To find a vaccine to prevent people getting the virus could still take up to three years as it took years to perfect the technique. “If in the early part of 2017 we still have major outbreaks in South America and in the Caribbean, we may show that it’s effective or not within a year. If the infections go way down the way Ebola went way down in west Africa when we were trying to test the vaccine, it may take three years to show that it works, or not,” says Dr. Fauci. The Olympic Games being held in Rio is also adding to concern. The Pan-American Health Organisation says it expects 14 million people to be travelling from the south of the continent to the north for the games which begin on August 5th.